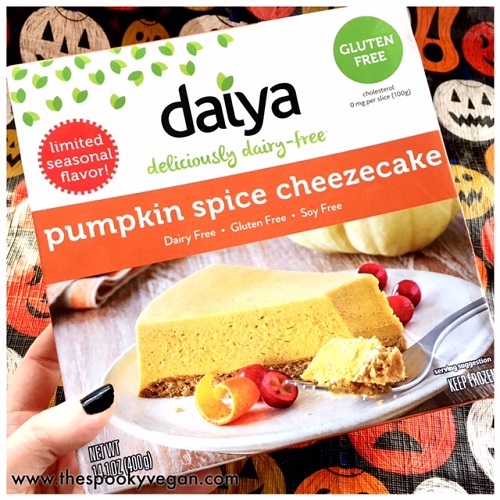 Remember when I tried the new Daiya Pumpkin Spice Cheezecake way back in March at the Natural Foods Expo? 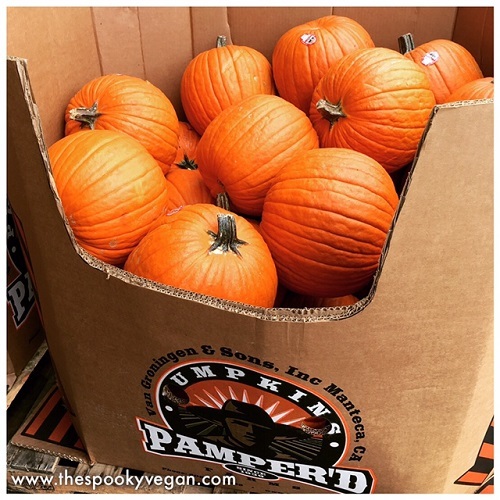 Ever since then I have been dreaming about getting my claws on this yummy treat this pumpkin season. 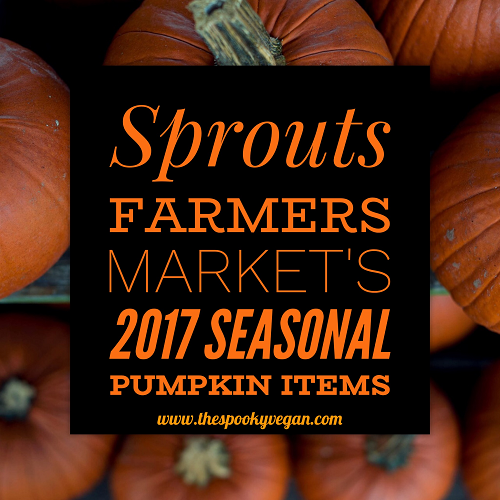 My dreams have finally turned into reality as Sprouts Farmers Market has this delectable vegan cheesecake, as well as many other pumpkin items to get excited about! When I visited yesterday they had just started stocking their endcaps with pumpkin goodies, so I expect a lot more to pop up in the next couple of weeks. 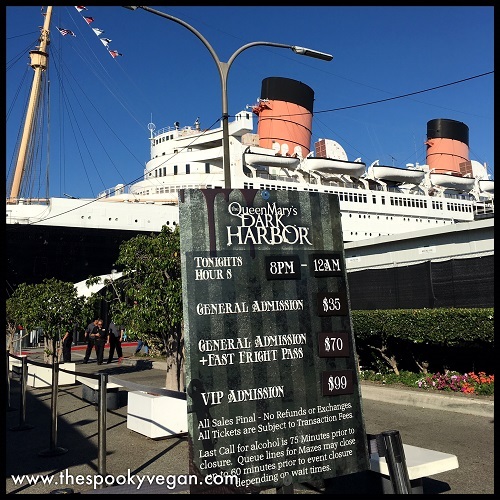 I found a lot of items that were vegan while I was scoping out their offerings, check them out below! 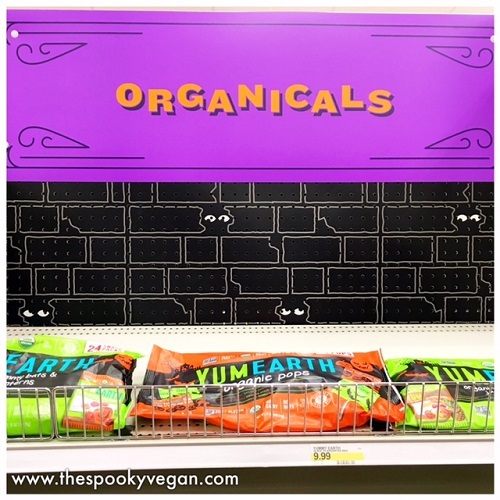 OMG Target Halloween 2017 is on shelves and it is boo-tiful! I saw IT last night (which I did enjoy, though I wished it had been scarier), and afterwards I had a feeling I should go check Target for Halloween goodies. I've already delighted in their Dollar Spot selections (check those out HERE! 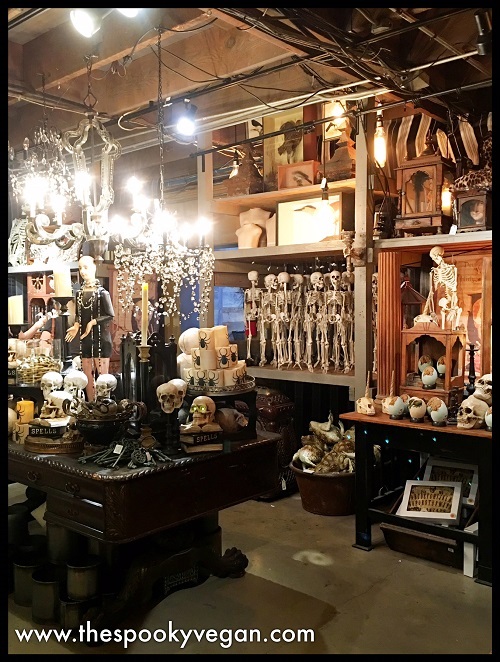 ), but I was eagerly anticipating their full inventory of Halloween items (I shared my most anticipated items from their website a few months back HERE!) It was getting late and I should have gone home to bed, but I still decided to stop by Target before heading home, and OMG I am so glad I did because they had JUST put out their Halloween things and the aisles were immaculate! 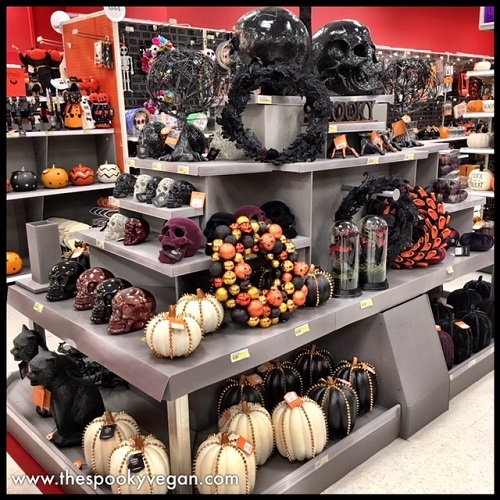 I took my time browsing and savoring the emptiness of the Halloween aisles - Target has some incredible Halloween stuff this year! I don't believe I've had a pumpkin spice latte from a coffee shop since going vegan nearly 10 years ago! I love pumpkin spice everything, so when September rolled around and everyone was posting PSL selfies, I usually made my own or relied on store-bought items like Califia Farms' Pumpkin Spice Latte Cold Brew Coffee (read my review). 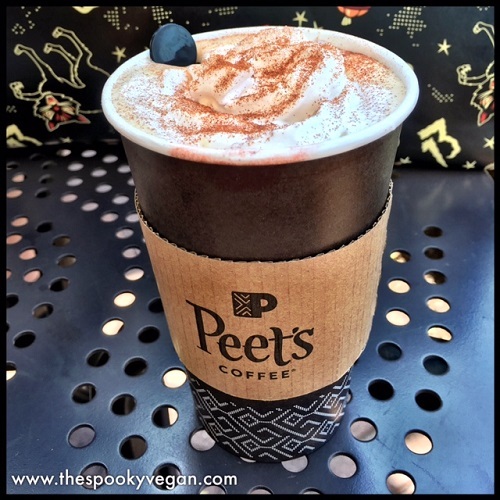 However, this year I was delighted to hear that Peet's Coffee has a non-dairy pumpkin spice latte, so even vegans can enjoy this delicious treat! Now, you're probably wondering if another big coffee chain's PSL is vegan, since that is the one that gets the most attention this time of year. Sadly, the Starbucks' pumpkin spice latte is NOT vegan, nor can it be made vegan even when requesting non-dairy milk. The PSL sauce itself contains condensed milk (ick), so until it is removed from the formula, the Starbucks PSL will not be vegan. 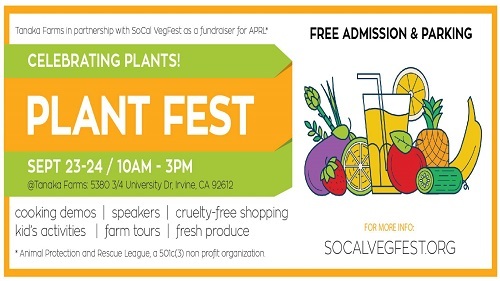 I hope they take a clue from Peet's soon and start offering a vegan PSL. Keep reading below for how to order the drink at Peet's so that it is vegan! 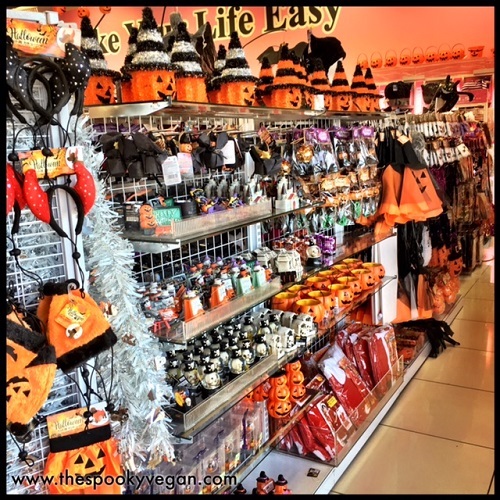 Roger's Gardens is a garden store in the Corona del Mar/Newport Beach area that transforms one of its buildings into whimsical Halloween-themed displays every year. 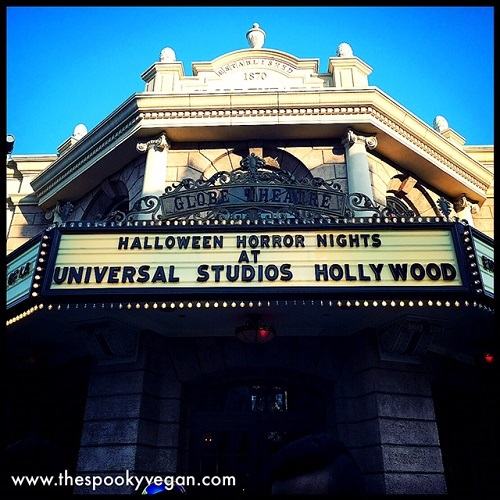 They always open their Halloween displays on Labor Day weekend, and it's a tradition for me to check them out this time every year as it marks my kick off to all things autumn and Halloween (even though I celebrate Halloween every day in my heart)! 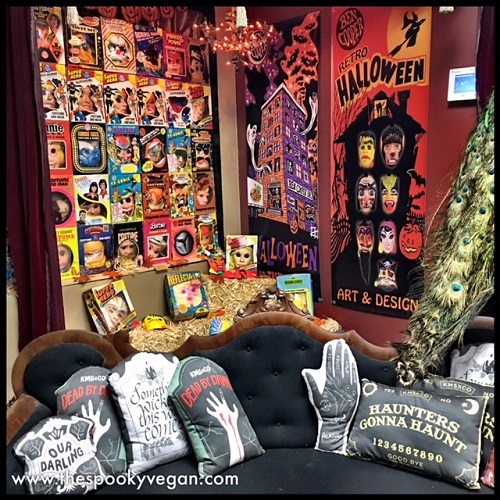 It is always a treat to see the theme Roger's Gardens has chosen for the year come to life, and shop for some Halloween trinkets while I'm there. I have been dying to check out the Neibolt House in Hollywood, which is a free haunted house running for a limited time to promote the new Warner Bros' film IT. At the impressively spooky house, the character of Georgie guides visitors in groups of seven (same as the number of members in the "Loser's Club") who are 18 and over through the rooms of the decrepit and creepy house featured in Stephen King's book as well as in the new film coming out September 8th, 2017. 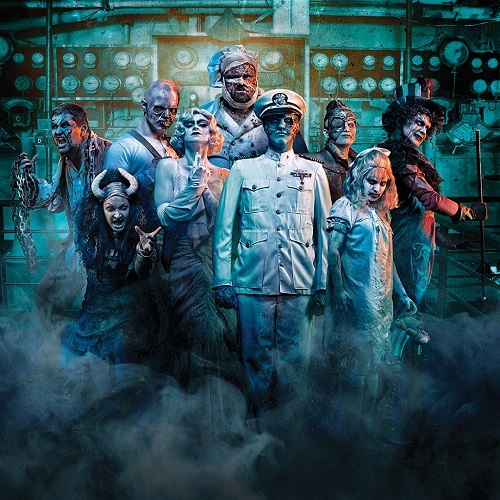 The immersive experience features film-inspired scenes, authentic set props, scare actors, animatronic props, and state-of-the-art lighting, audio, and video. Unfortunately, I won't be able to check it out before it closes on September 10th, but the good news is that I (and you!) 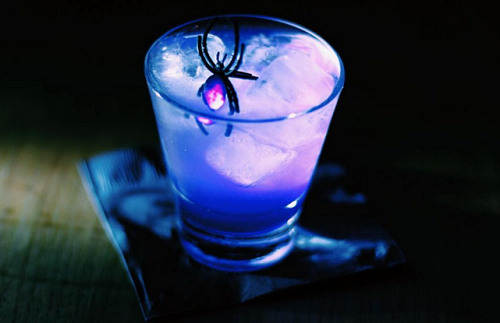 can live vicariously through my good friend and haunt ghoul Miss Kerry (aka Miss Skerry - make sure you follow her on Instagram for more spooky adventures! 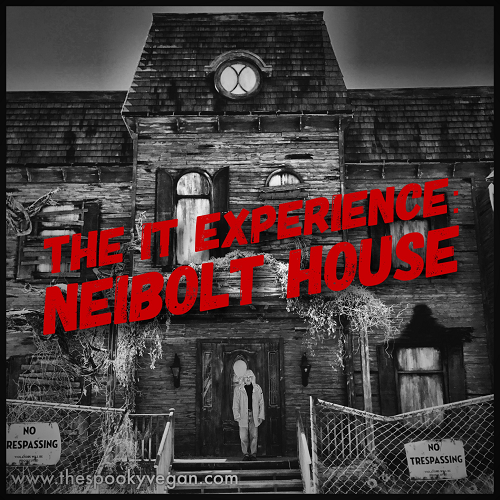 ), who recently got the chance to check out The IT Experience: Neibolt House and was gracious enough to share her visit with us! Warning - SPOILER ALERT: The review below includes maze spoilers, so if you want to check out the house for yourself you may want to do that first before reading this review. You've been warned!